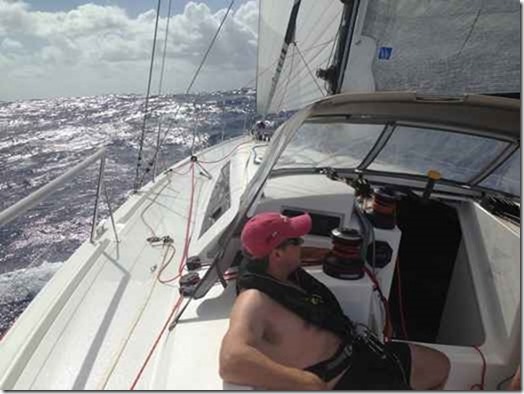 Good wind of 20-25 knots and we are sailing almost directly at St Lucia. 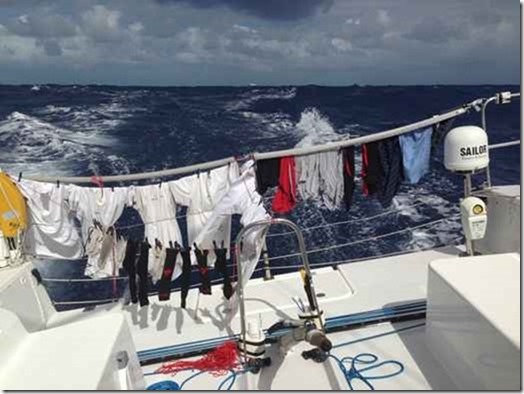 We had a good night and are averaging 250 nm in 24 hours. We hope to be in port tomorrow evening. It is very hot and sticky in the cabin but nice out on deck. We are going well and already planning the drinks we will order when we arrive. Nicki and Penny are already there.